The Buick Encore is ranked 3 out of 15 for subcompact SUVs on the market, according to U.S. News & World Report. Even with the basic trim, it comes with some great safety features. 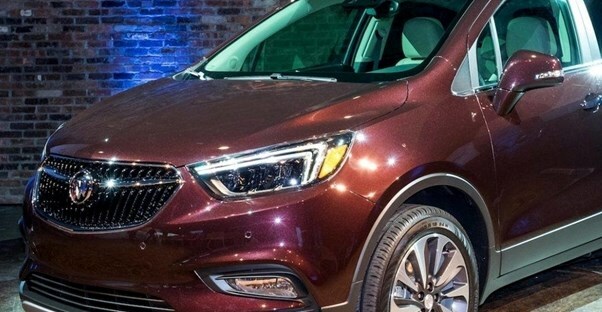 It has one of the nicest interiors in its class, making it hard to say no to the 2019 Buick Encore. The only really difficult part is choosing between the four different trims, but we have you covered in that department with our comparisons. The Encore is the least expensive trim offering, having a starting price of $24,195. Despite the price, it’s still as luxurious as you’d expect a Buick to be. It uses a 1.4-liter DHOC turbocharged 4-cylinder engine to produce 138 horsepower and 148 lb-ft of torque. This engine allows the Encore to get up to 25 MPG in the city and 33 MPG on the highway. Some of the best features in this trim include rear vision camera, Apple CarPlay and Android Auto capabilities, SiriusXM Satellite Radio, keyless open and start, and QuietTuning-branded active noise cancellation. The Preferred trim is a slight step up over the Encore level and starts at $25,595. It uses the same engine, so it gets the same fuel economy. Drivers who love customization will love this trim because there are tons of options you can add onto your model. There aren’t numerous differences between the Preferred and base Encore trims. The most notable features are the addition of color-keyed floor mats and a retractable cargo shade. While this trim doesn’t add much, it does allow drivers to add the Road Trip Package and its associated features—something that is unavailable when choosing the base-level Encore trim. Unlike the Preferred level, the Buick Encore Sport Touring trim comes with a couple of features that make it a much better option. The best feature is the inclusion of remote start, which allows you to start your Buick Encore from afar to warm it during the winter or cool it down during the summer. It also comes with a rear spoiler to reduce drag and help eliminate aerodynamic lift, which could also improve fuel economy. Drivers will also find the inclusion of 18" aluminum alloy wheels as well as fog lamps on this trim level. The starting MSRP for the 2019 Encore Sport Touring is $26,795. The Buick Encore Essence has a big jump in price with an MSRP of $30,295, but it has more features that make it worth the money. Most of the features are designed to increase comfort, like the addition of heated driver front and passenger seats. It also features leather-appointed seating throughout the cabin. Other noteworthy features include a heated steering wheel, rear cross traffic alerts, and side blind zone alerts. These upgrades will have you looking for a reason to drive your Encore Essence.